see also Wegner, H.C., Arlington Indus. v. Bridgeport Fittings: The 20 Year Claim Construction Debate, IP Frontline, http://www.ipfrontline.com/depts/printabletemplate.aspx?id=24829 (“Until there is a final resolution of this debate there will never be clarity in claim construction at the Federal Circuit.”). Nowhere is the conflict more apparent then in our jurisprudence on the use of the specification in the interpretation of claim language. The familiar mantra is “there is a fine line between construing the claims in light of the specification and improperly importing a limitation from the specification into the claims.” Retractable Techs., Inc. v. Becton, Dickinson & Co., 653 F.3d 1296, 1305 (Fed. Cir. 2011). This case is a good vehicle to address two important claim construction principles: the role of the specification in construing the claims and whether deference should be given to the district court in the claim construction process. Accordingly, I dissent from the denial of rehearing en banc. However, the specification cannot be used to narrow a claim term – to deviate from the plain and ordinary meaning – unless the inventor acted as his own lexicographer or intentionally disclaimed or disavowed claim scope. Id. at 1316; see also Teleflex, Inc. v. Ficosa N. Am. Corp., 299 F.3d 1313, 1327 (Fed. Cir. 2002) (“[C]laim terms take on their ordinary and accustomed meanings unless the patentee demon-strated an intent to deviate . . . [via] expressions of mani-fest exclusion or restriction, representing a clear disavowal of claim scope.”); CCS Fitness, Inc. v. Bruns-wick Corp., 288 F.3d 1359, 1366 (Fed. Cir. 2002) (“[T]he claim term will not receive its ordinary meaning if the patentee acted as his own lexicographer and clearly set forth a definition of the disputed claim term . . . .”). If the inventor has chosen a broad claim term that is not supported by his specification, the pat-ent’s validity may be in jeopardy. But we cannot, as the court does in Retractable, redefine a claim term to match our view of the scope of the invention as disclosed in the specification. We are not the lexicographers. If Retractable were an isolated case, en banc review might not be warranted, but it is not. Compare, e.g., Arlington Indus., Inc. v. Bridgeport Fittings, Inc., 632 F.3d 1246 (Fed. Cir. 2011) and Laryngeal Mask Co. Ltd. v. Ambu, 618 F.3d 1367 (Fed. Cir. 2010) (declining to limit claims to what is thought to be the invention contem-plated by the inventors) with Retractable and Fifth Generation Computer Corp. v. Int’l Bus. Mach. Corp., 416 F. App’x 74 (Fed. Cir. 2011) (limiting claims to what is determined to be the actual invention). Retractable illustrates a fundamental split within the court as to the meaning of Phillips and Markman as well as the proper approach to claim interpretation. I would grant en banc review of Retractable to resolve the clear intra-circuit split on the claim construction process. It is time to revisit and reverse our decision in Cybor Corp. v. FAS Techs., Inc., 138 F.3d 1448 (Fed. Cir. 1998) (en banc). Because this case presents an appropriate vehicle to do so, and the court’s decision necessarily would change if even minimal deference were afforded to the trial judge’s claim construction, I dissent from the refusal to hear this case en banc. While no one would urge deference to cryptic, unthinking rulings born of little or no real inquiry, where, as here, the trial court has thoroughly vetted all relevant aspects of the claim constructions at issue, “careful consideration of the institutional advantages of the district court would counsel deference.” Id. at 1478. “If Xerox had known what it had and had taken advantage of its real opportunities..."
Snow has begun to fall throughout the region this morning in what the National Weather Service has dubbed an "historic early season snowstorm" for northeastern New Jersey, the Lower Hudson Valley and southern Connecticut. Anywhere from 2 to 4 inches of accumulation are expected for the region, accompanied by northerly winds with gusts reaching 55 mph. A winter weather advisory will remain in place until 2 a.m. Sunday [Oct. 30], the weather service reports. **Update. Power went out in western Bridgewater at 1:30pm on October 29, 2011. As of 2:14pm on October 30, power has not been restored. Further update: As of around 10am on October 31 power has not been restored in LBE's section of Bridgewater. Also, there were are lot of dark houses on Oct. 30 in Princeton on Route 206 north of boro police headquarters. 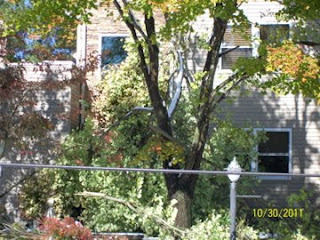 As of 9am on November 1, 2011, power has still not been restored. The [New Jersey] governor and his family were among those who lost power. The lights went out around 3 p.m. Saturday at Christie's Mendham home and weren't restored until about 7:30 p.m. Sunday. Christie, his wife and four children stayed in their home Saturday, when temperatures reached 47 degrees. But they headed to the governor's mansion in Princeton on Sunday night, only to briefly lose power there. "I know if you are without power today, Thursday seems like a long time from now," the governor said. "I understand that all this information, if you are someone who doesn't have power, is just talk until the lights go back on and the heat goes back on in your house. I get that. I lived it over the last 36 hours." Leading planetary scientist Heidi B. Hammel used her Facebook page to announce the discovery and to appeal for further observations. Amateur astronomers with advanced equipment are being asked to make observations of the planet and, if enough confirmations are received, it may lead controllers of the Hubble Space Telescope to interrupt observations and take a closer look. No stranger to privacy concerns, Facebook is once again in in the privacy spotlight following a Wall Street Journal report that some popular Facebook applications leak personal information to advertisers. 'Many of the popular applications, or 'apps,' on the social-networking site Facebook Inc. have been transmitting identifying information — in effect, providing access to people's names and, in some cases, their friends' names — to dozens of advertising and Internet tracking companies,' according to The Wall Street Journal, which wrote about Facebook Sunday in the latest installment of its recent 'What They Know' series about advertising and the Internet. Trips by federal judges. NLJ asks: Hundreds of trips: who's paying? Chief Judge Rader and Judge O'Malley are mentioned in the NLJ article. In the order of Oct. 24, 2011 in the Bosch/Pylon case, one finds interesting text: "this court has repeatedly denied, in unpublished opinions..."
Bosch's motion for reconsideration was denied by the CAFC. "Let me boil down the Google statement ... from 48 words to 1: Waaaah." [As to the Microsoft/Samsung licensing deal:] Google issued a statement saying, in part: "This is the same tactic we've seen time and again from Microsoft. Failing to succeed in the smartphone market, they are resorting to legal measures to extort profit from others' achievements and hinder the pace of innovation." Microsoft's PR chief Frank Shaw shot back via Twitter: "Let me boil down the Google statement ... from 48 words to 1: Waaaah." In many patent negotiations, bringing up the larger, vaguer threat of "we have thousands of patents, you infringe on some of them and we're willing to go the distance to sue you" is enough to start negotiations for a settlement, said Andrew Torrance, a visiting law professor at the University of Washington who specializes in intellectual property and patents. CSI: Miami on October 23 [ Killer Regrets ] had a variety of plots and sub-plots, including a play on ATF's Operation Fast and Furious. The story revolves around one Anita Torrez, and the people trying to killer, including the mysterious "El Asesino." Of technology, there was mention of a frequency shifting silencer. [See Believe it or Not, Frequency Shifting Works! ] One would not bet on the hole-filed cylinder in the show would do the trick. Mr. Scott O'Shay (Ed Begley, Jr.) tries to co-opt Walter, who elsewhere mentions his student loans. Steve Jobs is the topic on "60 Minutes" on October 23, 2011. Walter Isaacson was asked by Steve Jobs to do his bio, just prior to Jobs' operation. The book titled "Steve Jobs" will be in book stores on October 24. The book is done by Simon & Shuster, a division of CBS. Jobs could be very petulant, very brittle. I want to be with people who demand perfection. Paul Jobs was a salt of the earth guy. As to adoption: not abandoned, chosen. Steve Wozniak. Copy and improve the blue box. Users could make free phone calls. The blue box was the beginning of Apple. Jobs was one of the first 50 employees of Atari. He was put on the night shift. Abrasive and cantankerous character. Then Jobs went to India. Great spiritual leaders in India have intuition. With a $1300 investment, Jobs and Wozniak founded Apple. Jobs wanted to sell things. Jobs was not eager to be an employee of a company like HP. The Apple II. At age 25, Jobs was worth $50 million, on paper. About 100 people became millionaires when Apple went public. Wozniak was giving away stock options. Story of friend Daniel. Issue of daughter Lisa. Steve's reality distortion field. Bend any fact to suit his purpose. Jobs would say: we need to have this done by next month. Jobs could drive himself by magical thinking. Jobs had a belief that he was chosen, special. Mercedes coupe without a license plate. The normal rules shouldn't apply to him. [Jobs] didn't succumb to authority. In 1984, the Macintosh. Jobs was not the world's greatest manager. Confrontation with John Scully. There was nothing worse than being abandoned by Apple. Jobs got Pixar for $5 million. Then, Apple bought NeXT computer. Apple is about 90 days from bankruptcy. Jobs drew a chart with four boxes. "They changed the world." Not just ad copy, but a manifesto for Apple. The people who are crazy enough to think they can change the world, are the ones who do. When Jobs returned to Apple in 1997, Apple had just 5% of the computer market, and was nearly broke. Jobs grew Apple; Crossroads of science and the humanities. Clip of conference from Jan. 2007: introducing the iPhone. Apple had end to end control. Walled garden. Jobs' home in Palo Alto was a normal home, with a sidewalk. Jobs talked about others buying Rolls-Royces, and becoming "bizarro" people. In 1986, Jobs began searching for his biological mother. Then, Jobs learned he had a sister (Mona Simpson). Then, a journey to find the birth father. Jobs: I learned a little bit about him, and I didn't like what I learned. Of Jobs' cancer --> Cancer discovered when Jobs checked for kidney stones in 2004. Jobs tried to treat cancer with diet. "I didn't want my body to be open." Magical thinking. In 2008, iPhone3 was unveiled; Jobs lost weight and looked frail. Story about hormone imbalance. Can't withhold information from shareowners, vs. privacy rights. Jobs focussed on the products: iPhone and iPad. Was thinking about an easy to use television. The last meeting with Isaacson was in mid-August. Of after-life: after cancer, believed in afterlife more. But, then it's like an on-off switch. Jobs didn't like putting on/off switches on Apple devices. The last third of the hour was a story by Lesley Stahl on the interest of autistic children in iPads. Initially, Lesly was with Joshua Hood. Now, Joshua uses the iPad as his voice. Joshua has an obsession with World War II. Proloquo2Go. Clip on Beverly School in Toronto, Canada. How effective is the iPad with the students. Sabrina and Nathan. University of Pittsburgh, Dr. Walter Scheider. Temple Grandan's brain was scanned. She has Asperberger's High definition fiber tracking. Image shows impaiment pattern. News: Viewing the body in Libya. Possible terrorist attack in Kenya. 7.2 magnitude earthquake in Turkey. Meeting in Brussels about Greece. Bobby Jindal won second term. Loretta Lynn hospitalized. Robert Pierpoint died in California. Appeared on first "See it Now." Played a role in the last episode of MASH. Pujols hit three home runs in World Series game. Weather: midweek rain in northeast. Almanac. Oct. 23, 1958: Belgian magazine introduced Les Schtroumpfs (Smurfs). Peyo. (died in 1992). IMPS. June 25: global smurfs day. There will never be a dearth of Smurfs. Mark Strassman on Luma Mufleh [Looma Muffla], becoming an American citizen. It all began with a soccer ball. Born in Jordan in 1975, Luma attended Smith College then moved Clarkston, GA. Took a wrong turn and end up seeing a soccer game. Clarkston is one of 350 US cities where US re-settles refugees. Kids have fled countries because of war. Children struggle to fit in Rounded up children from 28 countires; called team the Fugees. In 2007, Looma quit her regular job. Children were slipping through the cracks. Launched the Fugees Academy. Tony Sipio: Clarkston police chief. The Fugees Village. Trying to raise $5 million. If you want something to happen, you make it happen. Last month: became American citizen. Anthnoy Mason on Clive Davis. In the Sony Building. Divining hit songs for nearly half a century. "the report card" Janis Joplin, Whitney Houstan, Barry Manilow, Santana's comeback. Has five Grammys. Party every year for last 35 years the day before Grammys. Unoffical annual ball. Beverly Hilton. David Geffen, old rival. This was an accident. Parents died when he was a teenage. Scholarship to Harvard Law School. Went to Monterey Pop Festival in 1967. Davis was accused of misusing funds; pled guility to tax evasion. Then started Arista; Scott English (Brandy). Manilow re-arranged it to Mandy. "It felt great to be back." Whitney Houston was signed at age 19. "Chief Creative Officer" at Sony Music. Leona Lewis. "He has the mind of a banker and the heart of a teenager." Davis: I'll never forget than when my parents died, I was left with $4000. Elizabeth Palmer, Sunday Journal, on Libya. National Liberation Day in Libya on October 23. Kelly Slater, surfer. Pro World Tour of surfing. Taken the world surfing title 10 times, first at age 20; at age 39, the oldest person to take title. Robert Kelly Slater born in Cocoa Beach, Florida in 1972. Slater turned pro as a teen. Surfing is only full time job he's had (brief spin on Baywatch). Got key to Huntington Beach, CA. Surfing: it's your decision at all times. Slater is working on technology that is making waves. Circular machine makes perfectably rideable waves. By 2014, scale up machine to create wave parks. World population will hit 7 billion by end of this week. Fast draw: how many people can the world handle? One day, catastrophic overpopulation. 2 billion in 1900. Almost 1 billion now don't have enough food. Philip Auerswald of George Mason University. Smart motivated people are connected. More people can solve more problems. Martin Sheen Sunday Profile by Mo Rocca. First question was about Charlie Sheen. Elephant in the room. Discusses "The Way," written and directed by Emilio Estevez. Camino de Santiago in France/Spain. Emilio: I wanted to write something for him, as a man, as a father. Martin: best part I've had in 30 years. Climb over the Pyrenees. The film is about getting back to basics and embracing one's brokenness. You are a wonderful mess. Father and son live just 200 yards apart in Malibu. Topic of Apocaplypse Now. Hearts of Darkness on making of Apoc. Now. Martin Sheen born in Dayton, Ohio. The Subject was Roses. Badlands. The West Wing. Josiah Bartlett. Notre Dame grad. Sheen has been arrested 67 times. He is anti-abortion. There's bad nutty and there's good nutty. Nancy Giles on bank statements. Bank fees. Bank of America is charging customers $5/month to use debit card. Durbin amendment limits fees merchants can charge. This is not circle of life in Lion King. BofA commercials play up "cash back" rewards. Severance for Joe Price. Who needs banks? Ends with "old school mattress under which I will stash my cash." 60th anniversary, Oct. 20, 1951 debut of CBS eye logo. Curt Weiss. Next week: trick or treat. Moment of nature. Pradaxa. Tennessee/North Caroling border. Elk. Foliage. turkey. On this appeal, R&D’s principal argument is not that the district court erred on the entirety of the evidence, but that the Board’s findings should prevail if they were sup- ported by substantial evidence before the Board, and there- fore that the district court’s de novo procedure was incorrect. However, as we have observed, §146 establishes de novo review. The purpose of §146 is to bring to bear, upon the contested issues of priority of invention, the proce- dures and rules of federal litigation. The statutory alterna- tive of a civil action in the district court following the decision of the PTO tribunal implements the purpose whereby judicial process is the final arbiter of the rights and issues administratively assigned to the PTO. On the en- tirety of the evidence, the district court’s findings and conclusion that R&D did not establish a reduction to prac- tice with Johnson’s 1996 experiments is affirmed. The court correctly awarded priority of invention to Ryan and Streck. The University Judiciary Committee trial panel ruled Tuesday it lacked jurisdiction to rule in the case of editor-in-chief Jason Ally. He was accused of breaching the confidentiality of another student after the paper’s managing board published an editorial last month about the fired writer, whom they didn’t identify. At this point, the Cavalier Daily editors had two obligations, and they were pursued in tandem. The editors began work informing their readers about the plagiarism and the removal of the writer in an editorial; plagiarized work could cast doubt on the accuracy of the Daily, and only full transparency could justify the faith readers put into the newspaper. But as a student organization on the University of Virginia campus, the Cavalier Daily also had to report this misconduct to the school's Honor Committee. At this point, it helps to know a little bit about how the student self-governance system works at UVA. There are two different student-run committees with disciplinary authority. The Honor Committee has authority to punish any "honor offense," which is an "intentional act of lying, cheating or stealing which warrants permanent dismissal from the University." The University Judiciary Committee, on the other hand, has the "authority to investigate and adjudicate alleged violations of the Standards of Conduct." Goldstein did not get into how the UVa enforces the honor code at Semester at Sea, or mention the Routman incident. Goldstein discussed the role of FERPA in the story: the Honor Committee chair that brought the charges against Ally introduced the Family Educational Rights and Privacy Act, or FERPA, as part of the evidence that Ally had violated a right to confidentiality. See post UK Court invalidates claims to an enantiomer of a known racemate. Huang admitted that, despite signing a confidentiality agreement, he passed numerous secrets about Dow's products to others doing research in Germany and China, according to his plea agreement filed in federal court in Indiana. BusinessWeek noted: Assistant Attorney General Lanny Breuer said "Huang used his insider status at two of America's largest agricultural companies to steal valuable trade secrets for use in his native China." CanadianBusiness noted: Justice Department spokesman Tim Horty says Dow invested $300 million developing information allegedly stolen, but the plea agreement values the total losses from Huang's conduct at $7 million to $20 million. Although patents offer the most comprehensive protection, the application process is not only time consuming and demanding, but it requires the subject matter to be publicly disclosed. On the other hand, a party can seek to protect its invention by way of a trade secret. A European Union directive banning the patenting of inventions whose commercialization violates public order or "morality" has been used to invalidate a patent involving human embryonic stem cells. Greenpeace was the challenger to a patent held by Dr. Oliver Bruestle of the University of Bonn. IPBiz notes that, back in the days of California's Proposition 71, proponents for the stem cell bond issue argued that European scientists were getting the jump on American scientists. The intellectual property landscape is now significantly different. So, embryonic stem cell advocates have moved from "the Europeans are eating our lunch" to "the Europeans aren't helping us make lunch," without wondering if they are at the wrong deli. 46 The answer to the second question is therefore that the exclusion from patentability concerning the use of human embryos for industrial or commercial purposes in Article 6(2)(c) of the Directive also covers use for purposes of scientific research, only use for therapeutic or diagnostic purposes which are applied to the human embryo and are useful to it being patentable. DuPont sued Monsanto in SD Iowa for infringement of DuPont patents related to seed corn vigor, US 5,518,989 and 6,162,974. One notes that infringement is said to have happened in a research facility in Constantine, Michigan. His 1922 New York Times obituary mentions that his patent no. 174,465 "has been called the most valuable patent ever issued." Note that Thomas Edison died in 1931. None of the three contestants got it right, AND the game ended in two-way tie. One contestant did guess Edison; another guessed Morse; the third was further off. On appeal, Apotex argues that the district court erred by: 1) granting Sanofi prejudgment interest in addition to the damages specified in the May 2006 agreement; 2) awarding the interest at the prime rate; 3) holding Apotex Inc. jointly and severally liable for Sanofi’s damages; and 4) denying Apotex’s motion for leave to file a supplemental answer, affirmative defenses, and counterclaims pleading patent misuse and breach of contract. Apotex contends that the district court abused its discretion by awarding prejudgment interest in addition to the amount of “actual damages” specified in the May 2006 agreement. Apotex argues that the May 2006 agreement, when read as a whole, shows that Sanofi contractually limited its full recovery to 50% of Apotex’s net sales. Apotex contends when the parties contemplated a separate interest payment the May 2006 agreement expressly provided for it. Sanofi argues that the district court did not abuse its discretion by awarding prejudgment interest. Sanofi contends that because the agreement is silent regarding prejudgment interest, the district court correctly applied the general rule that “prejudgment interest should ordinarily be awarded.” Gen. Motors Corp. v. Devex Corp., 461 U.S. 648, 655 (1983). Because the interpretation of a settlement agreement is not an issue unique to patent law, we apply the law of the appropriate regional circuit. Novamedix, Ltd. v. NDM Acquisition Corp., 166 F.3d 1177, 1180 (Fed. Cir. 1999). The Second Circuit reviews the district court’s interpretation of a settlement agreement de novo. Hatalmud v. Spellings, 505 F.3d 139, 145 (2d Cir. 2007). The parties appear to agree that New York contract law governs the interpretation of the May 2006 agreement. See Appellants’ Br. 50-51 (citing New York contract law); Appellees’ Br. 22 (citing New York contract law). Under New York law a court may interpret a con- tract as a matter of law without resorting to extrinsic evidence if the contract is straightforward and unambigu- ous. Postlewaite v. McGraw-Hill, Inc., 411 F.3d 63, 67 (2d Cir. 2005). Even where a contractual term is ambiguous, if the intention of the parties is clear from the four cor- ners of the agreement, interpretation of the contract is a matter of law, and the court may appropriately rule on summary judgment. See id. damages, the district court erred by awarding additional prejudgment interest pursuant to 35 U.S.C. § 284. Courts have long held that prejudgment interest is a form of compensatory relief. “No matter what area of law is considered, prejudgment interest, when awarded, is part of a successful plaintiff’s complete compensation.” Transmatic, Inc. v. Gulton Indus., 180 F.3d 1343, 1347-48 (Fed. Cir. 1999); see also Oiness v. Walgreen Co., 88 F.3d 1025, 1033 (Fed. Cir. 1996) (“Prejudgment interest has no punitive, but only compensatory, purposes. Interest compensates the patent owner for the use of its money between the date of injury and the date of judgment.”). Sanofi argues that the district court correctly con- cluded that it did not need to preserve the right to pre- judgment interest, because there is a statutory right to interest under 35 U.S.C. § 284. Both parties also make numerous arguments regarding whether the award of prejudgment interest is appropriate in a §271(e)(2) infringement action based on their interpretation of the term “damages” in 35 U.S.C. §§ 271(e)(4)(C) and 284. While interesting, these arguments neither illuminate nor resolve the issue before us – the meaning of “actual damages” in the May 2006 agreement. The agreed upon “actual damages” are a creature of contract and not of the Patent Act. By entering into the May 2006 agreement, the parties decided that the agreement itself – not § 271(e)(4)(C) or § 284 – would govern the appropriate measure of damages from Apotex’s infringement. The dissent argues that Bank of New York v.
damages” is clear from the four corners of the contract. Cf. Postlewaite, 411 F.3d at 67. Apotex’s allegations regarding patent misuse arise entirely from BMS’s conduct surrounding its failure to disclose the existence of the oral agreement regarding an authorized generic to the FTC and the consortium of state attorneys general. Apotex contends that under both Federal law and the FTC’s prior judgments, BMS had a duty to inform the FTC of its oral promise not to launch an authorized generic. Apotex argues that BMS’s failure to disclose the oral agreement, despite this affirmative duty to disclose, rises to the level of patent misuse that rendered the ’265 patent unenforceable during the entire period Apotex sold its generic product. The district court properly rejected Apotex’s patent misuse defense as futile. See Acito v. IMCERA Grp., Inc., 47 F.3d 47, 55 (2d Cir. 1995) (“One good reason to deny leave to amend is when such leave would be futile.”). In Princo, 616 F.3d at 1328, we held “that the key inquiry under the patent misuse doctrine is whether . . . the patentee has impermissibly broadened the physical or temporal scope of the patent grant and has done so in a manner that has anticompetitive effects.” BMS’s failure to disclose the oral side deal with Apotex, and its false certification to the FTC regarding the same, in no way broadened the scope of the ’265 patent grant. Although it is perhaps plausible that the scope of the ’265 patent grant could have been broadened if the FTC failed to discover BMS’s nefarious conduct, such a hypothetical is irrelevant here – the FTC quickly discovered the existence of the oral agreement and BMS’s false certification prior to either the FTC or the state attorneys general giving approval to the May 2006 agreement. Apotex contends that our decision in Qualcomm Inc. v. Broadcom Corp., 548 F.3d 1004, 1021-22 n.8 (Fed. Cir. 2008), supports its argument that a patent may be held unenforceable for the failure to comply with a statutory obligation to disclose information relating to a patent license and settlement agreement. As we expressly held in Princo, “the defense of patent misuse is not available to a pre- sumptive infringer simply because a patentee engages in some kind of wrongful commercial conduct, even conduct that may have anticompetitive effects.” 616 F.3d at 1329. As reprehensible as BMS’s actions may be, they do not constitute patent misuse: “Where the patentee has not leveraged its patent beyond the scope of rights grant by the Patent Act, misuse has not been found.” Id. at 1328. The district court observed that “[w]hile the Settlement Agreement explicitly limits damages, it does not in any way restrict an award of interest on those damages.” Sanofi- Aventis v. Apotex Inc., 748 F. Supp. 2d 293, 297 (S.D.N.Y. 2010). Paragraph 14 of the Settlement Agreement states the way damages shall be measured, and does not mention that such damages shall be free of the routine award of interest. The district court correctly interpreted the contract, applying New York contract law and precedent, and held that “[i]n the absence of any agreement to the contrary, the general rule awarding interest on damages in patent infringement actions remains unaltered.” Sanofi-Aventis, 748 F. Supp. 2d at 297 (citing 35 U.S.C. §284; Gen. Motors, 461 U.S. at 657). The panel majority proposes that the contract’s silence on prejudgment interest means that the parties intended and agreed, by their silence, to forgo such interest. But as the Court confirmed in General Motors, the background rule is that prejudgment interest is awarded on damages for patent infringement, as required by statute. See 6 Corbin on Contracts §26.1 (“The critical concept is that parties apply the background rule if their contract is silent. Assum- ing that the rule is defeasible, and may be changed by agreement, the parties have the choice of saying nothing and keeping it, or affirmatively modifying or displacing it.”). “Actual damages” and “prejudgment interest” are separate categories, as the district court correctly observed. Sanofi-Aventis, 748 F. Supp. 2d at 297 (“Damages and interest are distinct categories of recovery.”). Prejudgment interest is awarded on actual damages in order to treat the injured party fairly. In Beatrice Foods Co. v. New England Printing & Lithographing Co., 923 F.2d 1576, 1580 (Fed. Cir. 1991), the court explained that “prejudgment interest can only be applied to the primary or actual damage portion and not to the punitive or enhanced portion,” and that “prejudgment interest is designed ‘to compensate for the delay a patentee experiences in obtaining money he would have received sooner if no infringement occurred,’ while ‘on the other hand, damages are trebled as punishment,’” citing Paper Converting, 745 F.2d at 23. See also Gen. Motors, 461 U.S. at 655-56 (“An award of interest from the time that the royalty payments would have been received merely serves to make the patent owner whole, since his damages consist not only of the value of the royalty payments but also of the forgone use of the money between the time of infringement and the date of the judgment.”); Roton Barrier, Inc. v. Stanley Works, 79 F.3d 1112, 1128 (Fed. Cir. 1996) (award- ing actual damages plus prejudgment interest on the actual damages). The parties’ agreement that punitive damages would not be sought was not an agreement to forgo the standard award of interest on the actual damages. Judge Moore first raised the grammatical issue with Defendant-Appellant’s counsel and noted that she had been consulting her copies of Strunk & White and The Chicago Manual of Style: [Listen]. The issue came up again in the discussion with Plaintiff-Appellee’s counsel: [Listen] and [Listen]. The value of psychic income? As I’ve written before, plagiarism doesn’t offend me because it exploits the previous hard work of some enterprising writer—even though it does. When you attribute passages to another writer, you’re likewise exploiting their work. But at least they receive psychic income from the citation. The quoted writer is enriched by the fact that their work has been acknowledged, that somebody might go back and read their work, and that their reputation is likely to rise because of the credit thrown their way. The plagiarist defrauds readers by leading them to believe that he has come by the facts of his story first-hand–that he vouches for the accuracy of the facts and interpretations under his byline. But this is not the case. Generally, the plagiarist doesn’t know whether the copy he’s lifted has gotten the story right because he hasn’t really investigated the topic. (If he had, he could write the story himself.) In such cases he must attribute the material he borrows so that at the very least the reader can hold somebody accountable for the facts in a story. Copying without attribution is bad. If the copied material is not strongly associated with its original source, readers of the copied material are going to be mislead about source. But, to first order, the readers value more the accuracy of the information than the source of the information. In the world of patents, society as a whole needs a patent system to give incentive to inventors to disclose publicly information. The value to society is in the information itself, not who it came from. In the old days, there was a quid pro quo: information was made public ONLY if the inventor got a patent. That is no longer true. The work of the inventor is disclosed publicly, whether or not an issued patent is given. Psychic income probably does not enter into the calculus. The idea is out there. If no patent issues, the work may be freely copied, without attribution. In the world of copyright, the Dastar case shows not only may the work be copied but also it may be attributed to someone else. In the world of IT, many companies tell employees NOT to read patents and the like, so they are not tainted by the work of others. At trial, both sides presented expert testimony as to obvious-ness. This testimony, however, was largely conclusory and so truncated as to be unhelpful. Nevertheless, be-cause the technology at issue is “easily understandable,” expert testimony is not necessary. Wyers v. Master Lock Co., 616 F.3d 1231, 1242 (Fed. Cir. 2010) (internal quota-tion marks omitted). In particular, the Court emphasized the role of “common sense”: “[r]igid preventative rules that deny factfinders recourse to common sense . . . are neither necessary under our case law nor consistent with it.” Id. at 421. Following KSR we held that the legal determination of obviousness, especially where the technology at issue is “easily understandable,” “may include recourse to logic, judgment, and common sense, in lieu of expert testi-mony.” Wyers, 616 F.3d at 1239, 1242. “Thus, in appropriate cases, the ultimate inference as to the existence of a motivation to combine references may boil down to a question of ‘common sense.’” Id. at 1240. When there is a design need or market pressure to solve a problem and there are a finite number of identified, predictable solutions, a person of ordi-nary skill has good reason to pursue the known options within his or her technical grasp. If this leads to the anticipated success, it is likely the product not of innovation but of ordinary skill and common sense. Notably, the prior art patents, the ’642 and ’818 patents, were not before the examiner during prosecution, and thus, under KSR, “the rationale underlying the presumption [of validity] . . . seems much diminished.” 550 U.S. at 426; see also Microsoft Corp. v. i4i Ltd. P'ship, 131 S. Ct. 2238, 2250–51 (2011). At trial, as a secondary consideration of nonobviousness, Stone Strong presented evidence that Del Zotto had intentionally copied aspects of its marketing brochure for its patented block system. In any event, “secondary considerations of nonobviousness . . . simply cannot overcome a strong prima facie case of obviousness.” Wyers, 616 F.3d at 1246. “[W]here the inventions repre-sent no more than ‘the predictable use of prior art ele-ments according to their established functions,’ the secondary considerations are inadequate to establish nonobviousness as a matter of law.” Id. (quoting KSR, 550 U.S. at 417). The secondary consideration of copying, even if established by Stone Strong at trial, is insufficient to overcome the strong prima facie case of obviousness discussed above. Vincent va Gogh suicide? how did he get the gun? Theory that he was shot by a couple of boys fits all the facts. Scott Pelley on "Running the War." Ryan Crocker new American ambassador; General John Allen, formerly Dean of Students at the Naval Academy. Allen: US forces will still be in Afghanistan after 2014. After withdrawal in Sept., America will still have over 70,000 troops. Crocker: the American people understand what's at stake here. Crocker: was on a flight landing at LaGuardia on Sept. 11, 2001. Allen: Taliban fighters number in the few thousands. The ANSF is not operationally committed. It requires a large footprint. Deal with them "kinetically," Marine talk for shooting them. Interview with Colonel Frank; travel in mine-resistant trucks. Hometown of Mullah Omar. Clear the enemy, and build. It take a platoon to convince a village that it is safe. The Hakani (Haqqani) network. Morley Safer begins the piece on Van Gogh (1853-1890) in Auvers, with Steven Naifeh, co-author of the book on an alternative theory of his death. Then in Paris by a self-portrait of van Gogh. In nine years, van Gogh turned out over 1000 paintings. Greg Smith is the other co-author. Out of his loneliness, van Gogh connected with people through portraits. Van Gogh Museum in Amsterdam gave the authors access to previously unpublished letters. Theo van Gogh supported Vincent. Van Gogh's father died of a stroke. The world is an angry and hostile place; art consoles people. In 1888, Vincent found Paul Gauguin. Later, a major psychotic episode. Felix Ray. Temporal lobe epilepsy. How did van Gogh get the gun? 1956 movie: Lust for Life, starring Kirk Douglas. Van Gogh died 70 days after his arrival in Auvers, sort of a Hamptons of the 1890s. Van Gogh turned out a picture a day in Auvers. Sunday, July 27, 1890. It was about a mile from where Vincent was (supposedly) painting to where he turned up at the inn. Alternative site for shooting Rue Boucher. The doctors told the police that the bullet path was at a crazy angle, and shot at a distance. Auberge Ravou. This is why blogging is great? Nothing is stolen, information and work isn't unnecessarily duplicated, and the reader has a path of information to follow, connecting information instead of atomizing it. Don't reuse or recycle; reinterpret. IPBiz notes that a lot of academics tend to avoid citing the prior research closest to their own work in an effort to suggest the novelty of their work. For example, see "Trolls on top?" or how not to cite relevant work?. While this a bit of a sport in academic work, the practice is a bit problematic in the patent world, wherein failure to cite the closest prior art can get one in trouble. [Note the Therasense case; Therasense v. Becton, Dickinson: the death of Rule 56? Separately, in the Ohio University plagiarism problems, the work that was copied was (primarily) in the background sections of the Masters theses. The students were not copying as to their asserted original work, but they were copying as to prior research. At least, the prior research was accurately stated, albeit copied without proper citation. In the Glenn Poshard business at SIU, the summary of prior work was copied from a paper published before the relevant time claimed to be summarized. There was copying without attribution AND the copied text was not accurately represented (ie, time lapse problem). Chalres Osgood introduced the stories for October 16. Recent advance in medical science are good, but Tracy Smith reports on prescription drug overdose (primarily oxycontin) in the cover story. A postcard from Venice by Seth Doane initially featuring gondola ride, but obliquely getting into IP issues in gondola making. Anthony Mason on Coldplay. Chris Martin. Bill Geist on public assistance programs, Mary Donnelly. Mo Rocca on New Jersey, with obligatory reference to inventions of Edison. David Edelstein on Margin Call. Rita Braver on Jill Abramson. News: Occupy Wall Street moves to Times Square. Riot in Rome. Pope Benedict uses wheeled platform. Clinton's 65th birthday. MLK Memorial in DC. 52 year old Dewey Bozella beat Larry Hopkins. Texas won AL. Weather: windy and seasonably cool in northeast. Almanac. Oct. 16, 1869: Cardiff Giant discovered. George Hull was fraudster who wanted to demonstrate how easily people could be fooled. Sunday Morning gave other examples of fraud: Trick on National Geographic about dinosaurs [The "missing link" dinosaur-bird in National Geographic magazine in November, 2004 was a fake. Archaeoraptor, the unofficial name of the fossil, was actually two animals pieced together ]. Balloon boy episode. Cardiff Giant now resides in Cooperstown. from wikipedia: David Hannum was quoted as saying, "There's a sucker born every minute" in reference to spectators paying to see Barnum's copy of the Cardiff giant. Over time, the quotation has been misattributed to Barnum himself. On December 10, 1869, Hull confessed to the press. On February 2, 1870 both giants were revealed as fakes in court. The judge ruled that Barnum could not be sued for calling a fake giant a fake. Rita Braver on NYT executive editor Jill Abramson. One of the most powerful jobs in the country. NYT sets the agenda of news. Premium is on the deep reporting. "Page 1" newsroom. Pig pilfering in the midwest. In the old days, 6 older men made decisions. She leads 1250 employees. NYT announced staff reductions this week. Consider the website as important as the web edition. Jill: people seem very attached to the Times in print. Jill was involved in weapons of mass destruction news. Jill grew up in upper west side. Jill went to Harvard, worked at Time. In 1997, met Maureen Dowd at a party. Started as hard hitting investigative reporter. In 2007, Jill was hit by a truck in Times Square. Scout, English Standard Golden Retriever. Husband is Henry Griggs. Jill started blogging about the dog Scout. Joke about fuller coverage of NYT as to dog. Movie "Margin Call." Princeton's Paul Krugman is quoted in the movie review. "Peddling complex financial schemes." Zach Quinto; Stanley Tucci. About toxic assets. Be smarter or cheat. A firesale of worthless assets. Jeremy Irons in Boris Karloff mode. Simon Baker. Sunday Passage. Franklin Kameny, gay rights pioneer. Clip of Dean Rusk: we don't employ homosexuals. Slogan: Gay is good. Mo Rocca, in defense of New Jersey. Osgood opens the story with mention of Chris Christie. NJ the toll booth state, and other Jersey jokes. The real housewives of New Jersey and Jersey Shore. Benjamin Franklin said NJ like a barrel tapped at both ends. In fact, NJ is an economic powerhouse, 2nd richest state in US. 15% of state is farmland. NJ gets less back in federal taxes than any other state. Edison patented light bulb in NJ. Meryl Streep. Camden and Newark poverty. but 2nd highest per capita income. Most densely populated state. 22% of state is pine barrens with purest water. Victory Park in Rumson, NJ. Horse farm in NJ. Jersey Shore is shot in Seaside Heights. Shore is 127 miles long. Blame the Turnpike: views of NJ's gray side. David Chase of Sopranos: introduction sequence. Bruce Springsteen, unofficial poet laureate. Born to Run is about getting out. Tribute to a state that is unfiltered and proud of its toll booths. First baseball game was played in Hoboken, NJ. Coldplay is one of the biggest bands around. Anthony Mason talks about them for the record. Viva la vida. Met at London's University College. Lead singer Chris Martin. Original name of band: Starfish. Then: The Coldplay. Parachutes with Yellow. Ben Stein on post office. Just for me, email will not replace a communication on a piece of paper. This is because I'm 66 years old. I love the whole mail process. I love the smile of Barbara, my deliverer in West Hollywood. Bottom line from Stein: Let's pay more, but keep mail service as it is. Block Island, Rhode Island's Mary Donnelly is profiled by Bill Geist. She arrived in 1958 as visiting nurse. She is 83 years old now. She tends to financial ills of people. There are 1000 or so residents of Block Island. There is a "Mary D" fund. Mary notes: you have to have a way to budget your money. Mary is the only one who decides. Mary does not hand out cash; she pays the bills directly. 30% of Block Islanders have received help from Mary D fund. Mary: I'm an ordinary person who has been gifted with this. Myriad case to be appealed to Supreme Court? The American Civil Liberties Union and the Public Patent Foundation said Wednesday [Oct. 12] they will petition the Supreme Court to overturn a lower court decision [by the CAFC] and rule that Salt Lake City-based Myriad Genetics cannot hold patents on human genes related to breast and ovarian cancers. So, it's a website, copying text, about general philosophy. In contrast, when Biden copied Kinnock, Biden created facts about Biden's life which simply were not true. Biden's plagiarisms the talk of the internet . Copying without attribution is not a good thing. But when copying is used to misrepresent facts, it is a worse thing. The story does illustrate that websites are frequently put up with very little thought, AND that carelessness in the creation of website content can have bad consequences, later in time. The statement that "The only thing necessary for the triumph of evil is for good men to do nothing" is often attributed to Burke. Burke never said this but, in 1770, he wrote in Thoughts on the Cause of the Present Discontents that "when bad men combine, the good must associate; else they will fall, one by one, an unpitied sacrifice in a contemptible struggle." The new boss, Luther Wainright, has to deal with Patrick and Henry Tibbs, the bad guy of the episode. Luther to Tibbs: We are with the government and we are watching you. Patrick to Tibbs: that vacancy sign in your soul. Cho: You're under arrest for the attempted murder of everybody. Patrick to Luther: that's kind of like, my spot. (...) to be honest I was rooting for you. The plan that was approved by you was to catch him in the act. Luther to Patrick: That psychopathy test. Glibness and superficial charm. Sense of self-worth. Congratulations Jane according to the score you are a clinical psychopath. Robert Bosch LLC (“Bosch”) appeals from the order of the United States District Court for the District of Delaware, denying Bosch’s post-trial motion for entry of a permanent injunction. Because the district court abused its discretion when it denied a permanent injunction on this record, we reverse and remand with instructions to enter an appropriate injunction. Beam blades are a relatively new technology that offers several advantages over conventional, or “bracketed,” wiper blades, including more evenly distributed pressure across the length of the blade and better performance in inclement weather. In light of the jury’s determination that Pylon infringed valid claims of the ’905 and ’434 Patents, Bosch moved for entry of a permanent injunction. In a memorandum opinion dated November 3, 2010, the court denied the motion on grounds that Bosch failed to show that it would suffer irreparable harm. At the outset of its analysis, the district court noted an apparent difficulty faced by courts “struggling to balance the absence of a presumption of irreparable harm with a patentee’s right to ex- clude,” and observed that other courts had “frequently focused upon the nature of the competition between plaintiff and defendant in the relevant market in the context of evaluating irreparable harm and the adequacy of money damages.” Robert Bosch LLC v. Pylon Mfg. Corp., 748 F. Supp. 2d 383, 407 (D. Del. 2010). The court also discerned a tendency among district courts to award permanent injunctions: (1) “under circumstances in which the plaintiff practices its invention and is a direct market competitor”; and (2) where the plaintiff’s “patented technology is at the core of its business . . . .” Id. at 407-08. Thus, on its face, the district court’s order denying Bosch’s request for a permanent injunction in a patent case falls within the scope of § 1292(a)(1), (c)(1). See Cross Med. Prods. v. Medtronic Sofamor Danek, Inc., 424 F.3d 1293, 1300 (Fed. Cir. 2005) (“Medtronic appeals from an order permanently enjoining Medtronic from infringing the ’555 patent. On its face, the order falls within the scope of § 1292(a)(1), (c)(1).”). This court has made clear that a party appealing an order that expressly grants or denies a permanent injunc- tion need not also demonstrate that the order will have “a serious, perhaps irreparable consequence” and that “the order can be effectively challenged only by immediate appeal.” See Cross Med. Prods., 424 F.3d at 1300. When confronted with this issue in Cross Medical, we explained that these “Carson requirements” apply only where there is no order specifically granting or denying injunctive relief, but the appellant argues that the appealed order has the effect of granting or denying such relief. Id. We also observed that the “Supreme Court [had] confirmed our reading of Carson as applying only to orders that have ‘the practical effect of granting or denying injunctions.’ ” Id. at 1301 (quoting Gulfstream Aerospace Corp. v. May- acamas Corp., 485 U.S. 271, 287-288 (1988) (“Section 1292(a)(1) will, of course, continue to provide appellate jurisdiction over orders that grant or deny injunctions and orders that have the practical effect of granting or deny- ing injunctions and have serious, perhaps irreparable, consequence.” (internal quotation marks omitted)). It is, thus, well-established that, “if the district court’s order expressly grants [or denies] an injunction, the order is appealable under § 1292(a)(1), without regard to whether the appellant is able to demonstrate serious or irreparable consequences.” Id. (quoting 19 James Wm. Moore et al., Moore’s Federal Practice ¶ 203.10[a], at 14 (3d ed. 2005)). (1) that it has suffered an irreparable injury; (2) that remedies available at law, such as monetary damages, are inadequate to compensate for that injury; (3) that, considering the balance of hardships between the plaintiff and the defendant, a remedy in equity is warranted; and (4) that the public interest would not be disserved by a permanent injunction. eBay Inc. v. MercExchange, L.L.C., 547 U.S. 388, 391 (2006). Prior to the Supreme Court’s decision in eBay, this court followed the general rule that a permanent injunction will issue once infringement and validity have been adjudged, absent a sound reason to deny such relief. See, e.g., Richardson v. Suzuki Motor Co., 868 F.2d 1226, 1247 (Fed. Cir. 1989) (citing W.L. Gore & Assocs., Inc. v. Garlock, Inc., 842 F.2d 1275, 1281 (Fed. Cir. 1988)). In eBay, the Supreme Court made clear that “broad classifications” and “categorical rule[s]” have no place in this inquiry. 547 U.S. at 393. Instead, courts are to exercise their discretion in accordance with traditional principles of equity. Id. at 394. The Supreme Court, however, did not expressly address the presumption of irreparable harm, and our subsequent cases have not definitively clarified whether that presumption remains intact. See Broadcom Corp. v. Qualcomm Inc., 543 F.3d 683, 702 (Fed. Cir. 2008) (“It remains an open question whether there remains a rebuttable presumption of irreparable harm following eBay.” (internal quotation marks and citation omitted)).4 Our statements on this topic have led one district court judge to conclude that “the presumption of irreparable harm is at best on life support.” Red Bend Ltd. v. Google, Inc., 2011 WL 1288503, at *18 (D. Mass. Mar. 31, 2011) (citations omit- ted). We take this opportunity to put the question to rest and confirm that eBay jettisoned the presumption of irreparable harm as it applies to determining the appropriateness of injunctive relief. In so holding, we join at least two of our sister circuits that have reached the same conclusion as it relates to a similar presumption in copyright infringement matters. See Perfect 10, Inc. v. Google, Inc., --- F.3d ---, 2011 WL 3320297, at *4 (9th Cir. Aug. 3, 2011) (“[W]e conclude that our longstanding rule that a showing of a reasonable likelihood of success on the merits in a copyright infringement claim raises a presumption of irreparable harm is clearly irreconcilable with the reasoning of the Court’s decision in eBay and has therefore been effectively overruled.” (internal quotation marks and citations omitted)); Salinger v. Colting, 607 F.3d 68, 76-78 (2d Cir. 2010) (finding that eBay abrogated the presumption of irreparable harm in copyright cases). Although eBay abolishes our general rule that an injunction normally will issue when a patent is found to have been valid and infringed, it does not swing the pendulum in the opposite direction. In other words, even though a successful patent infringement plaintiff can no longer rely on presumptions or other short-cuts to support a request for a permanent injunction, it does not follow that courts should entirely ignore the fundamental nature of patents as property rights granting the owner the right to exclude. Indeed, this right has its roots in the Consti- tution, as the Intellectual Property Clause of the Consti- tution itself refers to inventors’ “exclusive Right to their respective . . . Discoveries.” U.S. Const. art. I, § 8, cl. 8 (emphasis added). Although the Supreme Court disap- proved of this court’s absolute reliance on the patentee’s right to exclude as a basis for our prior rule favoring injunctions, that does not mean that the nature of patent rights has no place in the appropriate equitable analysis. See eBay, 547 U.S. at 392 (“According to the Court of Appeals, this statutory right to exclude alone justifies its general rule in favor of permanent injunctive relief. But the creation of a right is distinct from the provision of remedies for violations of that right.”). While the pat- entee’s right to exclude alone cannot justify an injunction, it should not be ignored either. See Acumed LLC v. Stryker Corp., 551 F.3d 1323, 1328 (Fed. Cir. 2008) (find- ing in a post-eBay decision that, “[i]n view of that right [to exclude], infringement may cause a patentee irreparable harm not remediable by a reasonable royalty”). The abolition of categorical rules and the district court’s inherent discretion to fashion equitable relief, moreover, also do not mandate that district courts must act on a clean slate. “Discretion is not whim, and limiting discretion according to legal standards helps promote the basic principle of justice that like cases should be decided alike.” eBay, 547 U.S. at 395 (Roberts, J., concurring) (quoting Martin v. Franklin Capital Corp., 546 U.S. 132, 139 (2005)). In this area, as others, “a page of history is worth a volume of logic” when “it comes to discerning and applying those standards.” Id. (quoting New York Trust Co. v. Eisner, 256 U.S. 345, 349 (1921) (Holmes, J.)). Over the past quarter-century, this court has encountered many cases involving a practicing patentee seeking to permanently enjoin a competitor upon an adjudication of infringement. In deciding these cases, we have developed certain legal standards that inform the four-factor inquiry and, in particular, the question of irreparable harm. While none of these standards alone may justify a general rule or an effectively irrebuttable presumption that an injunction should issue, a proper application of the standards to the facts of this case compels the conclu- sion that Bosch is entitled to the injunction it seeks. It is in ignoring these standards, and supplanting them with its own, that the district court abused its discretion. While we agree that the district court did not establish categorical rules, we nevertheless conclude that the district court committed legal error by the weight given to the factors cited, and made a clear error in judgment in its analysis of the irreparable harm factor. Specifically, while facts relating to the nature of the competition between the parties undoubtedly are relevant to the irreparable harm inquiry, the court erred in relying exclusively on the presence of additional competitors and on the non-core nature of Bosch’s wiper blade business. In addition, the court committed a clear error of judgment when it concluded that Bosch failed to demonstrate irreparable harm in the face of overwhelming evidence to the contrary. This is particularly true in light of Bosch’s evidence of: (1) the parties’ direct competition; (2) loss in market share and access to potential customers resulting from Pylon’s introduction of infringing beam blades; and (3) Pylon’s lack of financial wherewithal to satisfy a judgment. Given these facts, there is “no basis on which the district court rationally could have” concluded that Bosch failed to show irreparable harm. See Datascope, 879 F.2d at 828. We first address the court’s legal errors and then turn to the clear error of judgment. The court’s first legal error lies in its conclusion that the presence of additional competitors, without more, cuts against a finding of irreparable harm. It is well- established that the “fact that other infringers may be in the marketplace does not negate irreparable harm.” Pfizer, Inc. v. Teva Pharms. USA, Inc., 429 F.3d 1364, 1381 (Fed. Cir. 2005). As we explained in Pfizer, a pat- entee need not sue all infringers at once. Id. “Picking off one infringer at a time is not inconsistent with being irreparably harmed.” Id. Were we to conclude otherwise, we would effectively establish a presumption against irreparable harm whenever the market contains a plural- ity of players. Under such circumstances, the first in- fringer sued could always point to the existence of additional competitors. The court also erred in relying on the “non-core” na- ture of Bosch’s wiper blade business in relation to its business as a whole. As other courts have concluded, the fact that an infringer’s harm affects only a portion of a patentee’s business says nothing about whether that harm can be rectified. See, e.g., Hoffman-LaRoche, Inc. v. Cobalt Pharma. Inc., No. 07-cv-4539, 2010 U.S. Dist. LEXIS 119432, at *36-37 (D.N.J. Nov. 10, 2010) (“Cobalt points to Roche’s size and profitability, and the small impact the likely harms would have on Roche’s overall profitability. That says nothing about whether such harms are irreparable.”). Injuries that affect a “non-core” aspect of a patentee’s business are equally capable of being irreparable as ones that affect more significant operations. In addition to these legal errors, the district court committed a clear error in judgment when it concluded that Bosch failed to demonstrate irreparable harm. The record here contains undisputed evidence of direct compe- tition in each of the market segments identified by the parties. Bosch also introduced unrebutted evidence of loss of market share and access to potential customers, as well as Pylon’s inability to satisfy a judgment. The dis- trict court, however, did not address any of this evidence, but, instead, focused on: (1) the absence of a two-player market; (2) the non-core nature of Bosch’s wiper blade business; and (3) Bosch’s alleged failure to define a rele- vant market. In view of the entirety of the record, we are left with the firm conviction that there is no basis on which the district court rationally could have concluded that Bosch failed to demonstrate irreparable harm. We begin with an overview of the nature of competition between the parties before turning to the parties’ arguments regarding harms arising from Pylon’s competition with Bosch and Pylon’s apparent inability to satisfy a judgment. For the foregoing reasons, and because we find that Pylon’s remaining arguments are without merit, we reverse the district court’s denial of Bosch’s motion for entry of a permanent injunction and remand for entry of an appropriate injunction. I agree with the majority that the district court erred in its application of the eBay factors, and I therefore agree that we should not affirm the district court’s order denying an injunction. However, I disagree with the majority’s decision that the record compels the issuance of an injunction and I therefore dissent with respect to that aspect of this court’s judgment. As was quite predictable, passage of the "patent reform" bill has benefitted patent lawyers. Patent attorneys, who typically have degrees in fields such as engineering as well as law, are in such demand that their specialty may account for more than 15 percent of law firm job openings while representing just 3 percent of U.S. lawyers. Some law firms are almost doubling recruitment fees to meet the growing demand for intellectual property specialists, particularly in the technology sector, said T.J. Duane, a principal at legal recruitment firm . “These are hard people to find,” Barton E. Showalter, chairman of the IP department at Baker Botts LLP in Dallas, said of qualified patent attorneys. Unreliable because it was found in a blog? In response, Victaulic cited my post from January 2011 identifying the average five-year pendency for reissued patents. In a brief filed under seal, Tyco's attorneys from Morgan Lewis called my post "unreliable" and "unsubstantiated" because it was found in a blog. The ultimate truth, or falsity, of a proposition does not depend on the source of the proposition. Saying that something is false because it comes from a blog is an argument by proxy. “This was a blog worthy of Facebook, not a formal article, yet now the editor has the chutzpa to compare this to a student's thesis, which is like comparing apples to gorillas." One notes that Reeve apparently lost his job at Concordia University in Irvine while Glenn Poshard who did copy material in his Ph.D. thesis without attribution is still at Southern Illinois University (SIU). IEEE apparently uncovered copying in papers published in some proceedings in 2009. The two (courtesy) professors at Kansas University involved in this copying did not report the event to Kansas University. The two professors were censured both for the copying and the failure to report the copying. The censure announcement named four academic papers that contained plagiarized material, including “Systematically Identifying Genes and Pathways in Multiple Cancer Types Using HGD & PSO-SVM” and “PathMapper-An Integrative Approach for Oncogene Pathway Identification.” The papers were published in August 2009 in the Proceedings of the 2009 International Joint Conference on Bioinformatics, Systems Biology and Intelligent Computing. The Institute of Electrical and Electronics Engineers, which held copies of the papers in its digital library, published a Notice of Violation of IEEE Publication Principles in place of the papers. The notice states that the papers contain significant portions of text from three other scholarly works, without attribution, and recommends that researchers remove any references to the papers in their own research. Senators Jeff Bingaman and Tom Udall and Congressmen Martin Heinrich and Ben Ray Lujan sent a letter arguing for New Mexico as the site of the one of two satellite patent offices to be created by the patent reform bill. A third office, The Elijah J. McCoy United States Patent and Trademark Office in Detroit, had already been selected. Call me jaded, but in the global electronics industry which EE Times has been covering for almost 40 years, we’ve all witnessed the mass exodus of manufacturing facilities overseas, thus attracting [and hiring] talented design engineers abroad. Operations offshore certainly haven’t stopped at mere “manufacturing.” Production offshore has also led to innovation abroad, with many companies investing in more design centers and R&D facilities outside the United States. That “global” label is your get-out-of-jail-free card. You are beholden to your customers in the “global” markets and to your shareholders in the United States; but not to workers and engineers in the United States, even though you are a U.S.-based company. Reading these three paragraphs gives more insight than one received in the 20 or so minutes of Lesley Stahl's interview of GE's Immelt on October 9, 2011 on "60 Minutes." Watching the interview, one might have wondered how Mike Wallace, or even Tim Russert, would have handled the questioning. CAFC in Absolute Software v. Stealth: "In sum, both experts had the opportunity to provide direct evidence..."
This is a patent infringement action between companies that sell competing software products designed to track lost or stolen laptop computers, which one company refers to as “LoJack for Laptops.” Each side asserted claims of patent infringement against the other based on their respective software products. Following the parties’ cross-motions for summary judgment, the district court entered summary judgment of non-infringement for each side. See Absolute Software, Inc. v. Stealth Signal, Inc., 731 F. Supp. 2d 661 (S.D. Tex. 2010) (“District Court Decision”). Both sides appeal from this judgment. (...) We conclude, however, that issues of fact preclude granting summary judgment of non-infringement to Stealth. . Determining infringement requires two steps. “First, the claim must be properly construed to determine its scope and meaning. Second, the claim as properly construed must be compared to the accused device or proc- ess.” Carroll Touch, Inc. v. Electro Mech. Sys., Inc., 15 F.3d 1573, 1576 (Fed. Cir. 1993) (citations omitted). The proper construction of a patent’s claims is an issue of Federal Circuit law, and we review a district court’s claim construction de novo. Cybor Corp. v. FAS Techs., Inc., 138 F.3d 1448, 1454–55 (Fed. Cir. 1998) (en banc). To ascer- tain the scope and meaning of the asserted claims, we look to the words of the claims themselves, the specifica- tion, the prosecution history, and any relevant extrinsic evidence. Phillips v. AWH Corp., 415 F.3d 1303, 1315–17 (Fed. Cir. 2005) (en banc). Infringement, whether literal or under the doctrine of equivalents, is a question of fact. Bai v. L & L Wings, Inc., 160 F.3d 1350, 1353 (Fed. Cir. 1998). On appeal from a grant of summary judgment of non-infringement, we determine whether, after resolving reasonable factual inferences in favor of the patentee, the district court correctly concluded that no reasonable jury could find infringement. IMS Tech., Inc. v. Haas Automation, Inc., 206 F.3d 1422, 1429 (Fed. Cir. 2000). Twenty-six days after the objections were due, Absolute filed a response to Stealth’s objections. While still not asserting a formal objection to the special mas- ter’s construction of “global network communication links,” Absolute urged the court to modify the construc- tion “slightly” to construe “links” to be IP addresses. We do not find that this belated and imprecise argument preserved Absolute’s objection on this issue. Indeed, Absolute neither cited to nor relied upon this submission in its briefing to this court, asserting instead, and only, that its arguments to the special master were sufficient. In the face of Absolute’s express endorsement of the special master’s construction of this term, we cannot agree that Absolute timely presented its current arguments on the issue to the district court. In addition, we otherwise do not find that any of the reasons we have enumerated in the past for considering an argument that was not presented properly below are present in this case. See L.E.A. Dynatech, Inc. v. Allina, 49 F.3d 1527, 1531 (Fed. Cir. 1995) (“An appellate court will consider an issue not presented below only if: (i) the issue involves a pure question of law and refusal to consider it would result in a miscarriage of justice; (ii) the proper resolution is beyond any doubt; (iii) the appellant had no opportunity to raise the objection at the district court level; (iv) the issue presents significant questions of general impact or of great public concern; or (v) the interest of substantial justice is at stake.” (internal quotations and brackets omitted)). Under the district court’s claim construction, if the agent provides the IP addresses of both the agent and host, the agent will satisfy this limitation of the asserted ’758 and ’863 Patent claims. The parties disputed whether the XTool agent provided two IP addresses, and both sides submitted expert declarations on this point. Stealth contended in its briefing that its expert witness, Stealth President Pedro Camargo, stated that “the Stealth agent provides only the IP address of the moni- tored device.” Stealth’s Principal and Response Br. 15 (emphasis added). This is an overstatement of the ex- pert’s declaration. Mr. Camargo makes only a conclusory statement that Stealth does not infringe Absolute’s pat- ents, adding that “the Stealth ‘agent’ provides the IP address of the device; and, an IP address is not a ‘link,’ or a ‘connection’; it is, instead, a ‘node.’” Decl. of Pedro Camargo, JA 090010, ¶ 8. He never explicitly states that Stealth’s agent does not provide the host IP address, nor does he explain what other component of the electronic device supplies it. The testimony of Absolute’s expert, Gregory Ennis, is also not directly on point. Mr. Ennis only states that the packet generated by the Stealth agent, “when received by the host system, contains both the IP address of the device and the IP address of the Stealth Control Center.” Decl. of Gregory B. Ennis, JA 100028, ¶ 18. He never explicitly states that the agent provides both the agent IP address and the host IP address. Rather, he finishes his discussion with the conclusory statement that “[t]he agent thereby provides the host system with such a [global network communication] link.” Id. In sum, both experts had the opportunity to provide direct evidence regarding how the host IP address comes to be in the message packet that ultimately arrives at the host, but neither one conclusively states whether it is the agent that provides this address. The error of the district court: The decision fails to draw a reasonable inference in favor of Absolute, the non-moving party, namely that the XTool agent itself provides the host IP address that appears in the message packet. See Ala. Farm Bureau Mut. Cas. Co. v. Am. Fid. Life Ins. Co., 606 F.2d 602, 609 (5th Cir. 1979) (inferences most favorable to the non-moving party must be drawn, and “[s]uch infer- ences may create disputes regarding basic facts or regard- ing facts to be inferred from such facts”). It is true that, in some circumstances, a patentee’s consistent reference to a certain limitation or a preferred embodi- ment as “this invention” or the “present invention” can serve to limit the scope of the entire invention, particu- larly where no other intrinsic evidence suggests other- wise. See Verizon Servs. Corp. v. Vonage Holdings Corp., 503 F.3d 1295, 1308 (Fed. Cir. 2007) (“When a patent thus describes the features of the ‘present invention’ as a whole, this description limits the scope of the invention”); Honeywell Int’l, Inc. v. ITT Indus., Inc., 452 F.3d 1312, 1318 (Fed. Cir. 2006) (noting that, “[o]n at least four occasions, the written description refers to [only one particular component] as ‘this invention’ or the ‘present invention’” and finding that the prosecution history does not support a broader scope). a number of express statements in the ’609 specification clearly indicating that [the feature at issue] is a feature only of certain embodiments”); Rambus, Inc. v. Infineon Techs. AG, 318 F.3d 1081, 1094-95 (Fed. Cir. 2003) (al- though portions of the written description referred to the term at issue as limiting the claimed invention to a pre- ferred embodiment, “the remainder of the specification and the prosecution history shows that Rambus did not clearly disclaim or disavow such claim scope in this case”). In this case, the ’269 Patent is more like the patents at issue in Voda, Praxair, and Rambus, in that the specification does not uniformly refer to a one-call-per-time- period limitation as being co-extensive with the entire invention. Stealth also challenges the district court’s finding that Absolute’s products did not infringe under the doctrine of equivalents. “Infringement under the doctrine of equiva- lents requires that the accused product contain each limitation of the claim or its equivalent.” AquaTex Indus., Inc. v. Techniche Solutions, 419 F.3d 1374, 1382 (Fed. Cir. 2005) (citing Warner-Jenkinson Co., Inc. v. Hilton Davis Chem. Co., 520 U.S. 17, 40 (1997)). An element of an accused product is equivalent to a claim limitation if the differences between the two are insubstantial, a question that turns on whether the element of the accused product “performs substantially the same function in substan- tially the same way to obtain the same result” as the claim limitation. Id. (quoting Graver Tank & Mfg. Co. v. Linde Air Prods. Co., 339 U.S. 605, 608 (1950)). We find no error in that interpretation, especially because Stealth’s proposed construction would render the word “terms” meaningless. See Cat Tech LLC v. Tube- Master, Inc., 528 F.3d 871, 885 (Fed. Cir. 2008) (refusing to adopt a claim construction that would render a claim limitation meaningless). We, therefore, agree with the district court’s construction of this claim term.